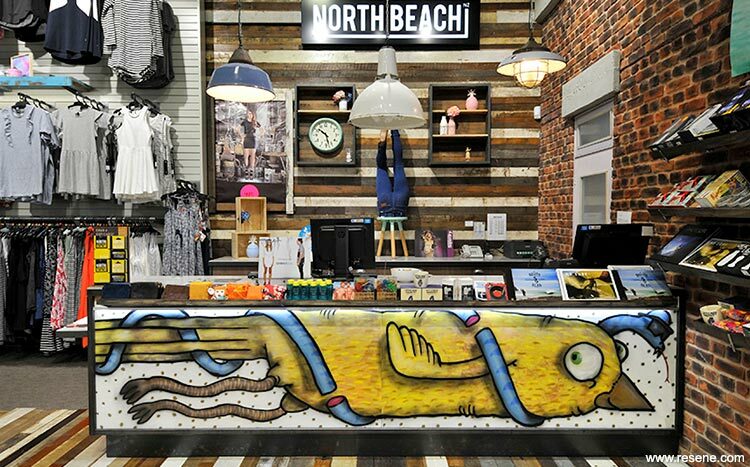 North Beach is one of New Zealand’s leading surf, skate and street wear retailers. MDS was engaged to design their new flagship store at Sylvia Park. It was important to the client that the new space reflected the company’s ideology and incorporated elements of design that would showcase their products in line with their sales. The overall concept was to create an abandoned warehouse in an urban grunge style. Material selection was a key component in achieving this. In keeping with the warehouse brief, MDS designed a skeletal structure using steel portal frames. This formed the main entrance to the store with rafter and beams soaring through the mall façade. 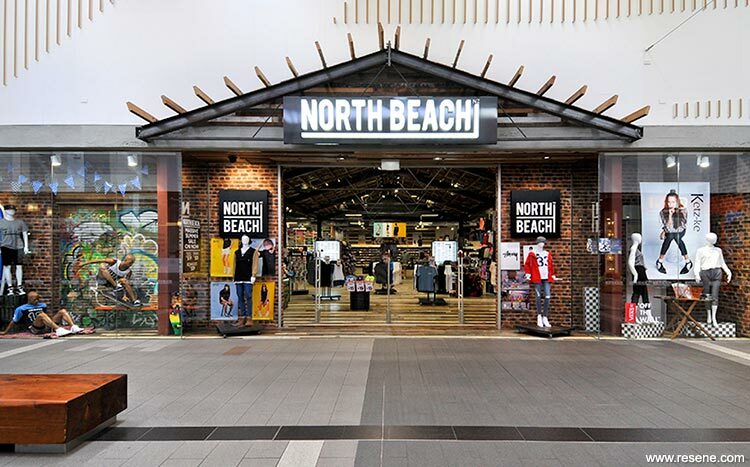 The portal forms lead customers through the store and also created individual spaces for product placement. Due to the size of the space, it was important to create interesting elements that encouraged people to view all aspects of the store. To achieve these individual spaces, we used different materials. Brick, concrete, recycled timber (reclaimed from an old warehouse) and raw steel were used in combination to create texture and achieve overall design aesthetic. These materials were also used as components in the custom designed shelving and racking units. The use of effective lighting and urban art within the store enhanced the urban grunge feel. It was important to have bold use of colour and materials to attract the younger clientele. The use of coloured shelving provided a pop of colour among the individual style fixtures, and helped to differentiate between the male (Resene Smashing with Resene Merino) and female (Resene Glamour puss with Resene Merino) sides of the store. Upper internal walls were finished in Resene SpaceCote Low Sheen tinted to Resene Gumboot with Resene Lustacryl semi-gloss waterborne enamel tinted to Resene Seeker used on shelving. 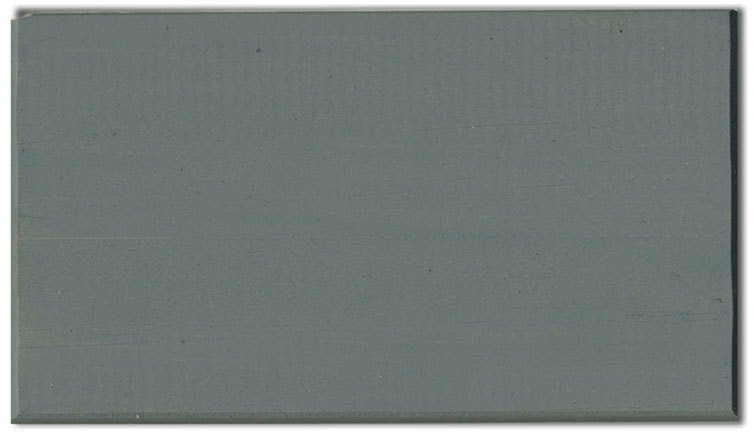 A distressed application method using Resene Zylone Sheen in Resene Kumutoto and Resene Merino achieved the grunge effect in the female fitting rooms. Resene Limed Ash wood stain was also used in the fitting room areas. Artists used Resene testpots in various colours to create attention grabbing artworks and to draw customers to the fitting rooms and purchase counters. The timber floor was clear finished in Resene Qristal ClearFloor 2K and timber walls and ceiling in Resene Qristal Clear polyurethane. The two other essential design considerations were high perimeter display walls and a large feature shoe display. The focal point at the rear of the store was a 9 metre long shoe display. Extensive use of recycled timber on this was a continuation of the main floor. Shelf recessed LED lighting was provided to enhance product visibility.